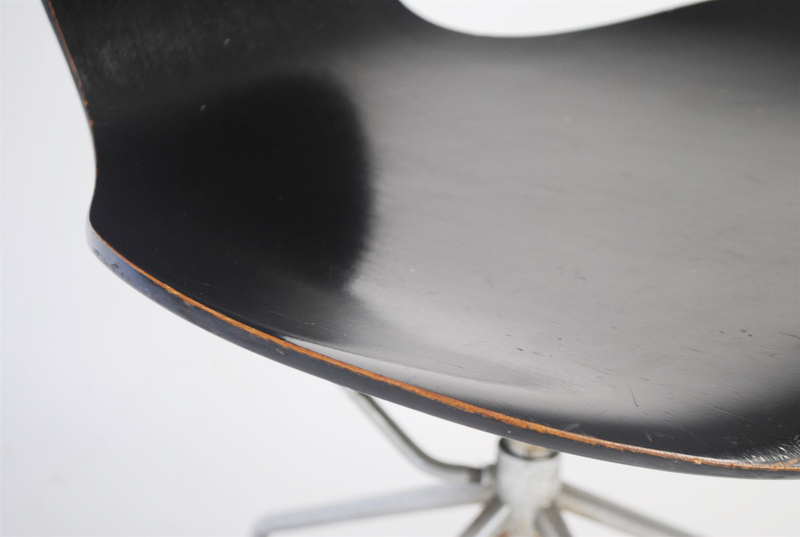 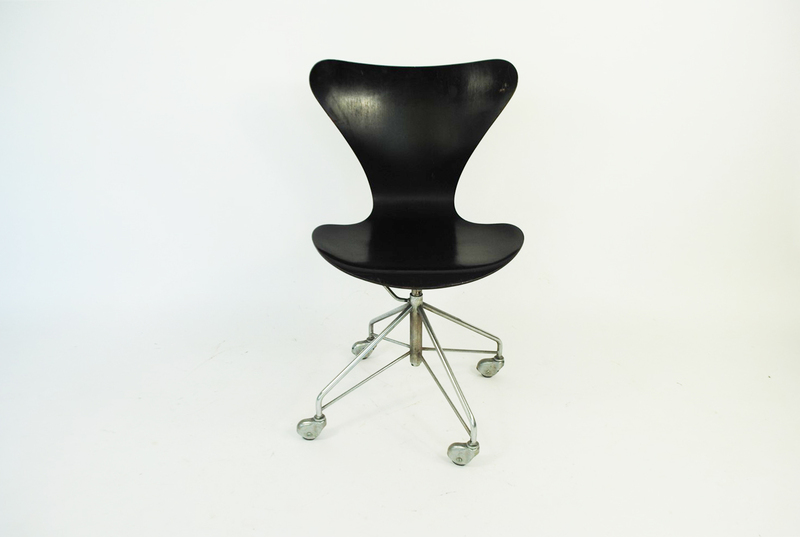 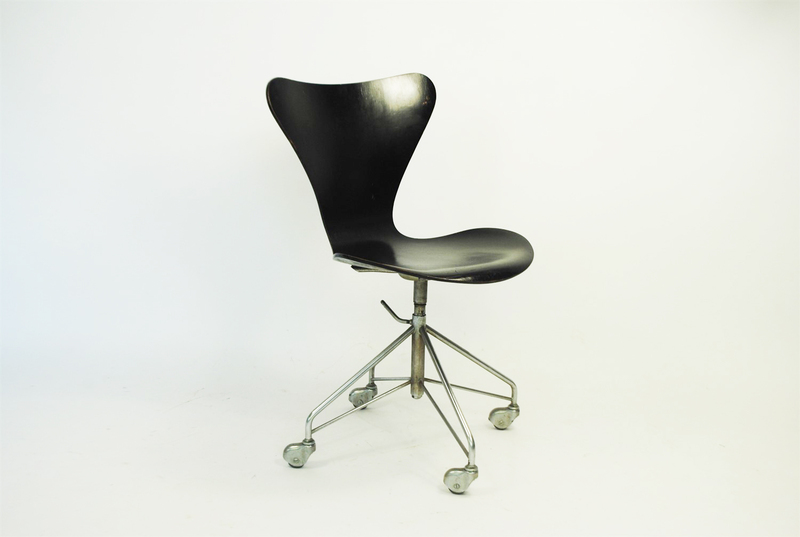 Early (1963) black office or desk chair designed by Arne Jacobsen in the 1960s and produced by Fritz Hansen. 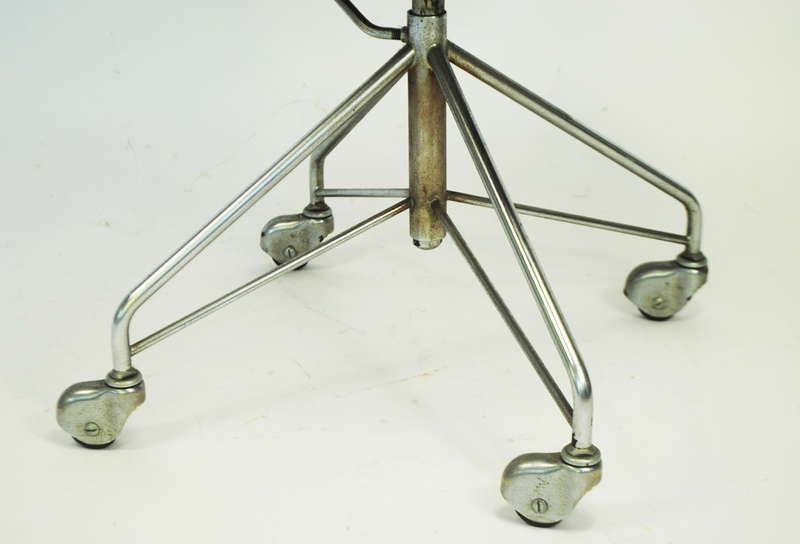 The chair can be adjusted in height and the chrome plated steel base has rolling casters. 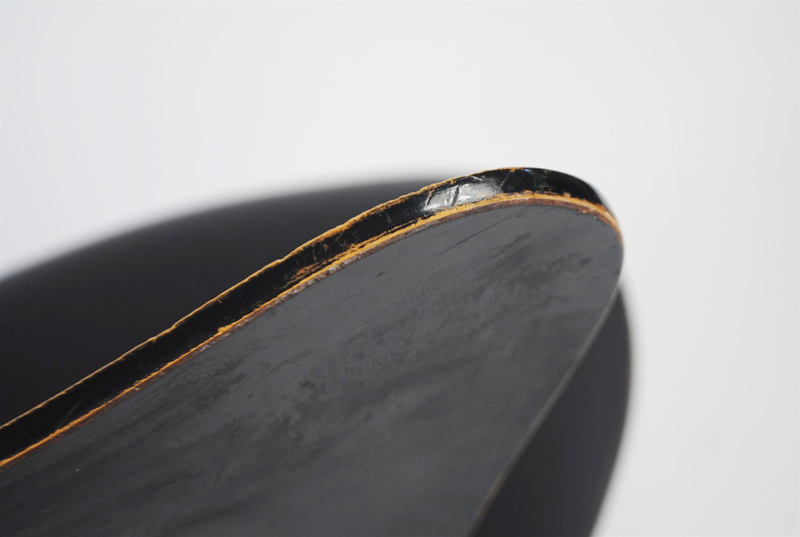 The black lacquered wood has gained a beautiful patina over the years. 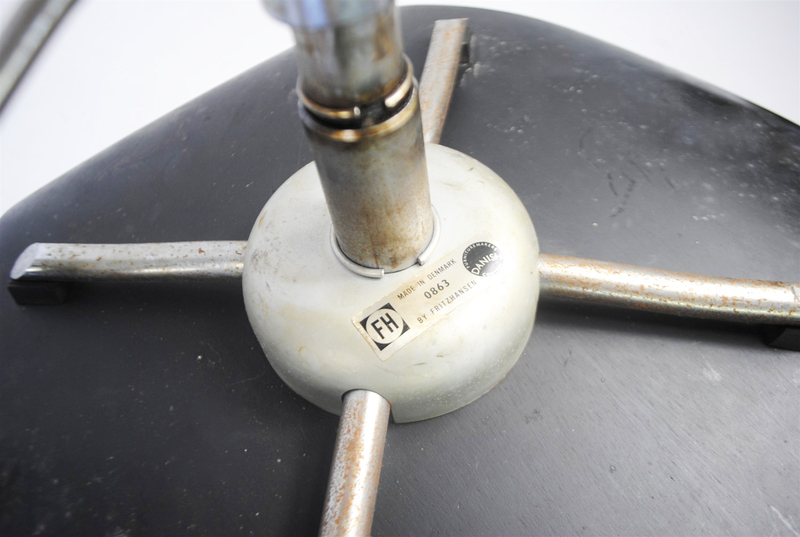 The chrome has some signs of age. 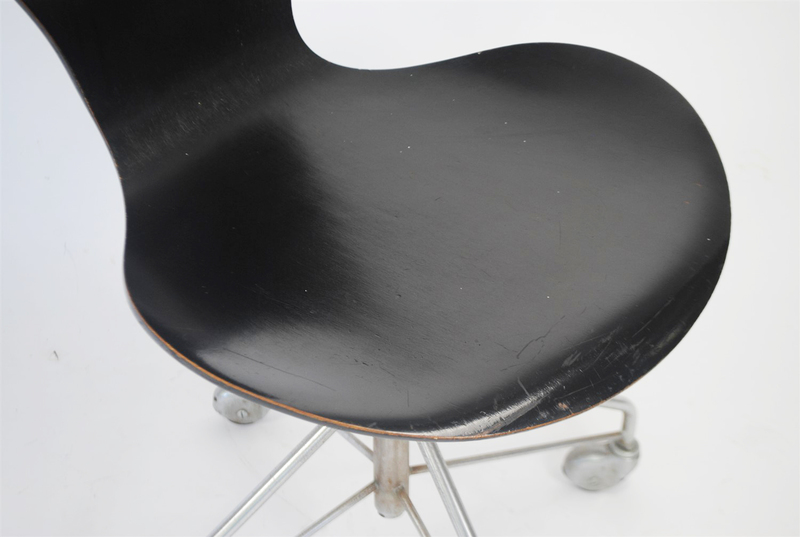 Overall this chair is in a very good vintage condition.